This Acadia is in great shape. It comes loaded with lots of options, including navigation and an entertainment system. It has third row seating and tv monitors built into the headrest. For listening pleasure, the entertainment system also comes with wireless headsets. Full leather with heated and cooled seats makes this luxury vehicle a pleasure to drive. It has gone through our 125 point inspection. The Acadia does have a rebuilt title. We will give you 6 months, or 6,000 mile warranty on the drive train. 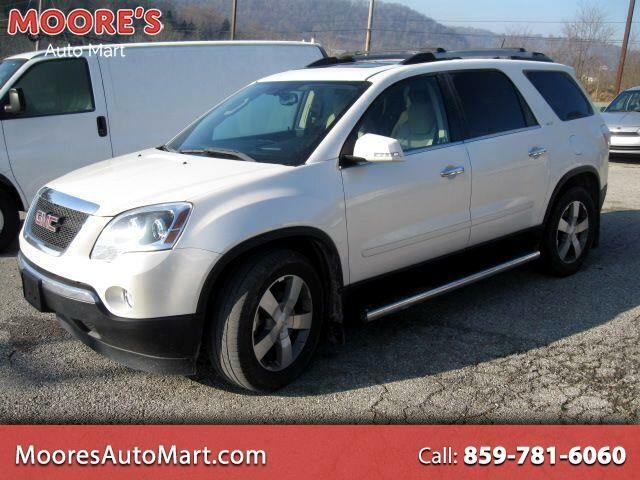 Call us at 859-743-1216 for your chance to own this vehicle $7k behind the retail value.